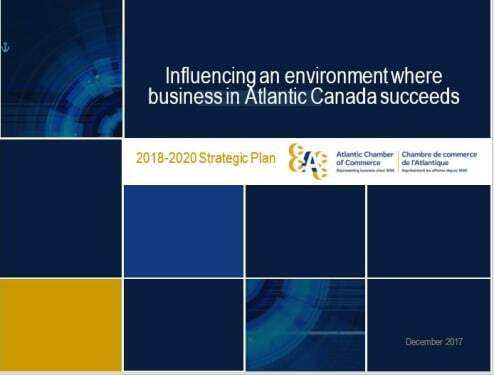 The Atlantic Chamber of Commerce has released its 2018-2020 Strategic Plan. Over the last three years, ACC has worked closely with local chamber members and corporate partners to build a strong voice for business in Atlantic Canada and to advocate on their behalf with our provincial governments. We have been focused on building capacity internally and throughout the region, working with our partners to establish a stronger presence and to strengthen the sustainability of our chamber network for members. The ACC 2018-2020 Strategic Plan outlines our priorities and strategies to help us deliver upon this important mandate as we collectively work toward making a positive impact on a strong, vibrant and growing Atlantic Canada.